Manufacturer of a wide range of products which include steel reaction vessel for chemical compounds. Backed by a team of professionals, we are into manufacturing and supplying of Steel Reaction Vessel for Chemical Compounds. The offered product is manufactured under the guidance of strict quality controllers. 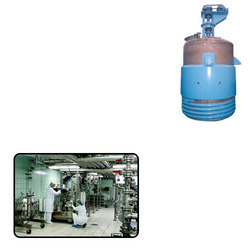 Looking for Steel Reaction Vessel for Chemical Compounds ?